Nissan is not really a brand best known for its convertibles however their current strategy of building niche sector cars has lead to a move in this direction. 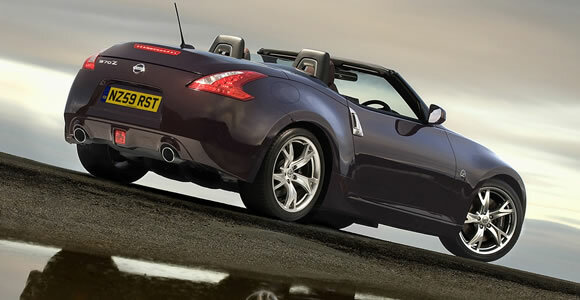 The 350Z and 370Z roadsters have been strong sellers and have proved excellent cars with power and fine handling. The latest and most unusual Nissan convertible however is the Murrano CrossCabriolet. This convertible crossover is a rather unique car and has marked out new territory for the car industry. IPL is Infiniti’s performance arm. They started in 2010 with an uprated version of the G37 Coupe and they have now given the G37 Convertible the full sports treatment. Known as the Infiniti IPL G Convertible the 3.7-litre V6 has been remapped to produce 343 horsepower and 273 lb-ft of torque. Nissan’s Crossover convertible Murano hits problems with production in the aftermath of Japan’s natural disaster causing delays in getting enough cars to customers. The Nissan Murano CrossCabriolet was launched with its own Facebook page ahead of its first outing at the Los Angeles Auto Show.